Children are soon going to go back to school after two months of holiday. For some it was time filled with pleasures, alarm free waking up, visits to families and exciting adventures. For others it was bitter – sweet mixture of school and task free time, but also time spent alone, while friends left town and parents were mostly working. There are also children who had a horrible time being off school, because it meant for them time of no care, no break from stressful family dynamics, no structure to hold on to. It’s certain that children coming back to school have very different experience of holiday and very diverse expectations about what is to come. This can create emotionally difficult situations and it gets more challenging when it soon becomes clear that there is no time for proper adjustment. A demand to get to work kicks on very quickly. Structure of classes, every day routines, homework – this all comes together as a reality so different to what most children experienced during the summer. While some children will be excited about seeing friends and buying new school equipment, others might feel anxious about coming back to peers who create challenging pressure to fit in, or about being embarrassed to see their parents struggling to get money for necessities. At school, among other children and observed by adults – parents and teachers, students are exposed and there is nowhere to hide. For the above reasons, and many others, end of holiday and beginning of school is emotionally challenging situation. Even if children mostly look forward to starting the learning, it is still an important transition and this always creates some level of anxiety. What is our adult and parents role in this process? We need to help the children to understand what is going on for them. Our role is to provide a safe environment for our child to express emotions and to find a space within ourselves to contain the difficult ones. This means being careful observers. If we see our child acting out and not being themselves, it’s worth to try and find the meaning of it. We should know how we feel about starting a new school year. If we get anxious about getting back to school routine, we should be aware of it and accept our not so positive feelings. If we are afraid of how our child is going to deal with difficulties this year, we have to separate our feelings from child’s feelings and make sure we deal with our own emotions, instead of projecting them onto the child. 3. Being sensitive to other children’s issues. As I mentioned before, some children are coming back to school with very heavy emotional baggage. They most likely aren’t able to maturely express and verbalise difficult emotions. They instead might be acting them out, getting rid of tensions by getting into fights, rebelling against teachers, etc. 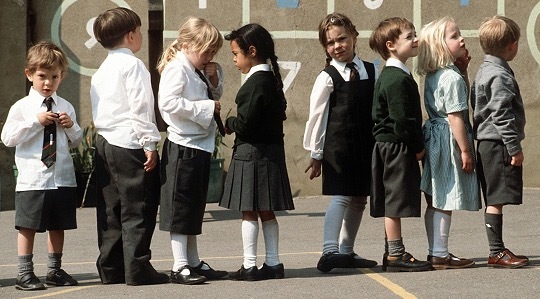 They might also have difficulty with focusing on tasks and conforming to the school’s norms.Trying to understand these children and not just reacting to their behaviour is an important task for all of us – parents and teachers. We are part of a wider community and there is a risk that instead of dealing with our own problems, we will see the troubled children as the only ones who have problems and they will soon become scape goats. Teachers and parents should be sensitive to diversity of experience and acknowledge that for some, coming back to school might be a real struggle and for some a rescue – when the structure provides a safety net that may be missing at home. In short, it’s time to be awake and ready to take in and work through children’s emotions. I wish you all that it comes together with real joy of starting something new and exciting. 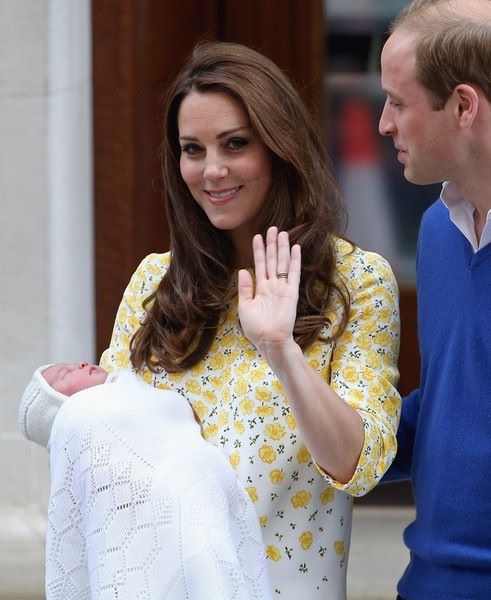 Kate Middleton – The Duchess of Cambridge – gave birth to her second baby. It’s not this fact itself, what brought me to write this post, but another blog which in a humorous way commented on Kate’s perfect look during child’s presentation just few hours after giving birth. The author very accurately picks up ridiculousness of a situation when woman being inevitably damaged and exhausted after enormous effort of labour, appears in front of the world ‘done up’ and ‘dressed up’, wearing high hills. Yes, the videos and photographs of Kate Middleton reminds me that I don’t belong to royal family and after I gave birth, no wider audience cared wether I had my hair brushed or nails done (and more: if I’d like to dress up straight after labour, someone would bring me on earth and told me to just lay down). It’s fortunately not part of my task as a mother to look perfect. But is it that obvious that the whole parenting venture isn’t about being perfect in any aspect? Isn’t the underlying message from Duchess to other parents: ‘perfect’ is what we all want? ‘Perfect’ is what the photograph captured but what was left behind? Looking at the photo of Kate Middleton I’m reflecting on big picture of parenting. I am trying to capture what really matters in being a parent and what being a good parent means. I believe that in our era of parenting, where the pressure on parents coming from many angles is very high, we tend to forget what our priorities are and we might find ourselves in a place where we never feel good enough. In fact, these dangers were present and spoken of in early 60′ of 20th century. Dr Donald H. Winnicot, English psychoanalyst, was particularly concerned about two issues (both of them become even stronger over the years and our culture is investing in turning them into the signatures of contemporary parenting). One of the issue is a growing role of parenting experts. The market of education and advice for parents is really massive. Parents constantly hear what they should be doing and what is best for their children. I recently saw the post on facebook, written by child psychologist, inviting parents to write their concerns on the psychologist’s facebook wall and she promised to answer each of them in few sentences. This is very vivid example of the wider issue: the ‘expert’ badge, the voice of specialist, is in our culture very powerful. The experts sound so convincing that we are inclined to trust their voice more than our own judgements. This undermines parents’ confidence and makes them feel worried that they constantly miss some skill or important bit of information. Somewhere in experts’ minds exists a perfect and right way of doing things and we, ordinary parents will never be able to fully reach that. We then sip drops of wisdom from specialists’ mouth, hoping that this will be at least good enough. The second issue is idealisation of parents. To illustrate what it means, I recall today’s radio program, where some caller criticised mothers for returning to work instead of staying at home with children. It was a judgemental speech, claiming that most mothers do have a choice and they still prefer career than the best start in life for their children. That lady simplified the dilemma and ignored complexity of the situation. She divided the world into two: good mothers staying with children and bad ones, returning to work. 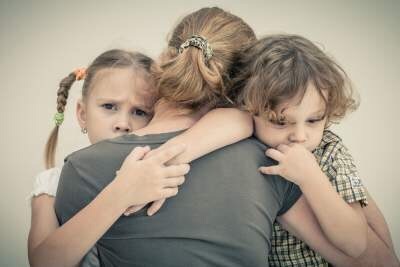 Her reasoning was fuelled by emotions: she split* them into two and assigned all the good ones to good – stay at home mums and all the bad ones to the other group. This is a process which we all sometimes go through, usually not being aware of this. Black and white world with simple divisions is a product of our phantasy and it prevents us from seeing shades of the real world. How we as a society perceive parents seems to be influenced by this mechanism of splitting. They are good or bad objects – in minds of others and in their own minds. They experience emotional pressure, the necessity to be ideal and to fulfil unreal expectations. Parenting isn’t about trying to be perfect and fulfilling unrealistic expectations. Parenting is about ‘ordinary’. Ordinary parents are good enough to provide right care for their children. And to be clear: vast majority of parents is doing great job of loving, caring and nurturing their children. *original concepts of splitting and good enough parents come from works of Melanie Klein and Donald Winnicott.